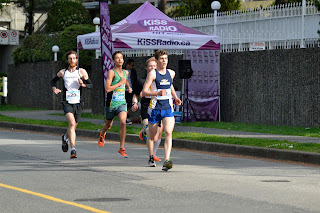 Josh Kozelj improved his personal best in the 10K by over 2 minutes by running 32:03 to finish 28th overall and 2nd in the 16-18 year old age group. 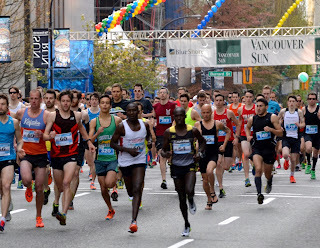 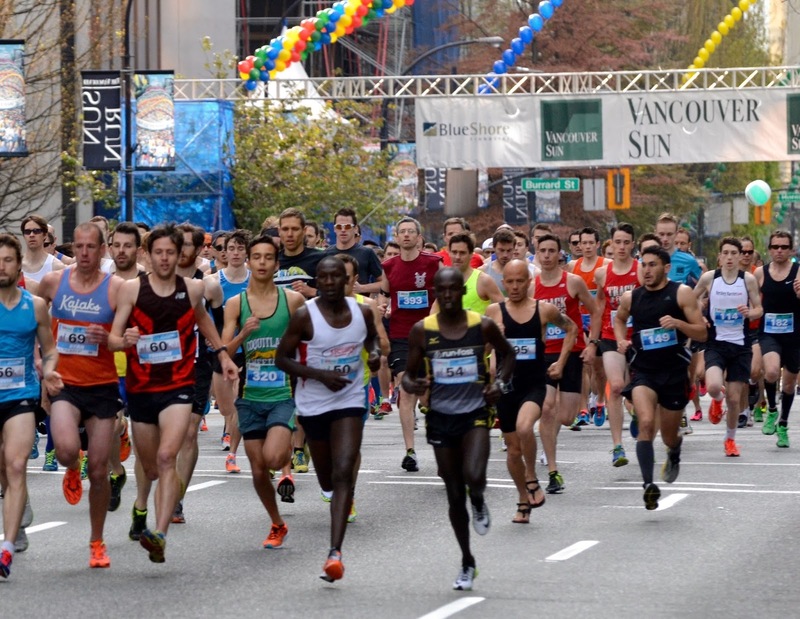 Kozelj ran in a tight pack through 7 kilometres which included the BC high school cross country champion and last year's Sun Run Junior Champion. 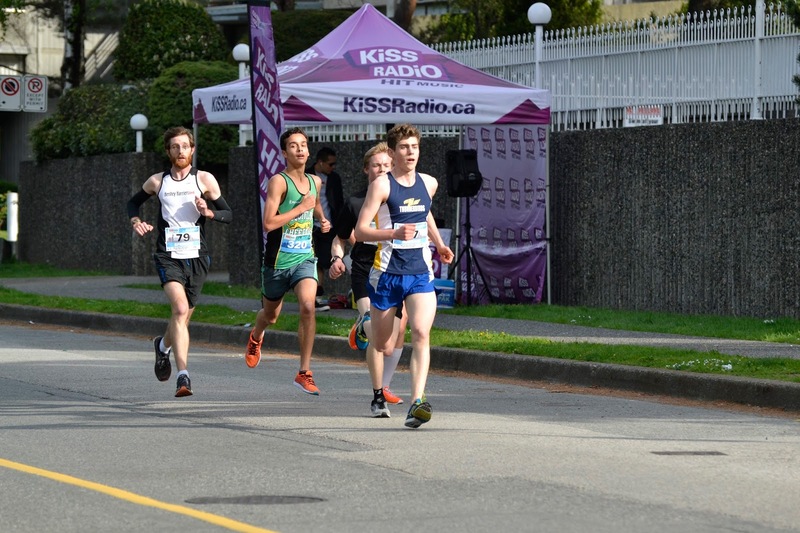 Having completed an outstanding winter training season, Kozelj used his improved fitness to surge away from his age group competitors, narrowly missing the 32 minute barrier.